LAYER THICKNESS: this drop-down allows you to choose the height of one printed layer. (0.09mm/0.14mm/0.19mm/0.29mm/0.39mm) Your material selection may affect the available selection choices. a. Finer layers (0.09mm/0.14mm) = Better surface quality + increased printing time + increased material usage. This is recommended for parts that are intricate/highly-detailed/organic/curvilinear. b. Average Layers (0.14mm/0.19mm) = Average surface quality + average printing time + average material usage. These settings work well for most shapes and forms. c. Thicker layers (0.29mm/0.39mm) = Less surface quality + decreased printing time + decreased material usage. These settings are recommended if your part is simple/rectilinear/square. You can also use these settings if your part is a first-stage prototype, or if you’re in a rush! 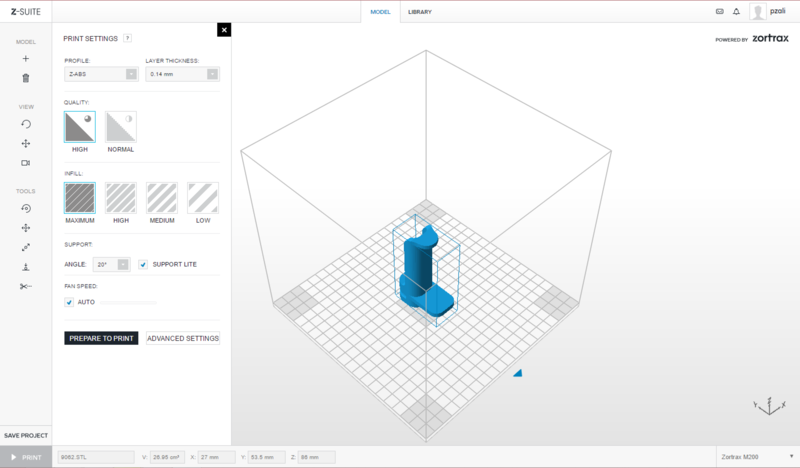 QUALITY: This drop-down option allows you to adjust the speed and quality of the 3D Print.